Our basic guide to Inheritance Tax (IHT) and how you can save by a bit of forward planning. Who has to pay Inheritance Tax and how much is it? Upon your death the value of your estate will be assessed by HMRC. All your assets ie. property, savings, investments, businesses will be totalled up. Any debts you have will be deducted and the balance determines if your estate has to pay IHT. At present, the nil threshold (the amount you can leave behind without being liable for tax) is £325,000. Anything over this is taxed at 40%. If you leave 10% or more of your estate to charity, this rate drops to 36%. The nil threshold rate of £325,000 has been frozen until 2017 at which stage the Government will decide if it should be changed. A married couple or civil partnership can combine their nil rate threshold meaning they can leave £650,000 tax free, see below on allowances for more details. If your estate is under £325,000 (or £650,000 between yourself and your spouse) in value, after any debts are deducted, then you don't need to worry about IHT in the first place. But if, for example, you die and leave behind assets valued at £500,000, your estate pays nothing on the first £325,000. The remaining £175,000 is taxed at 40%, giving HMRC a total of £70,000 in tax from your life's savings and achievements. Inheritance Tax is one of the easier taxes to reduce through basic planning, yet few of us take the time to deal with it. More often than not we leave it too late, gifting HMRC our assets instead of our loved ones. Making a few simple changes now can save your estate, and your loved ones, thousands. Why spend your life being savvy about your finances only to pay thousands in taxes upon your death because you don't want to think about what is unavoidable? Read on for some simple tips to save thousands. Make a Will..... seriously, that simple! The amount of us who do not take the time to draw up an official will and testament is staggering. It is the only way to control what happens your assets after you are gone. The mere process of making a will gets you thinking about the best way to pass on your estate. Leaving your estate to your partner. When you die, any amount you leave to your spouse or civil partner is exempt from inheritance tax, as long as they reside in the UK. It also worth noting that your nil allowance of £325,000 is transferable between you and your partner upon your death. This means that if you have left an estate valued below the £325,000 threshold, the balance of what you have not used is transferred to your partner. So as a couple, you jointly have an inheritance tax free threshold of £650,000. Allowances = Giving money away tax free whilst still around to be thanked for it! Using up your allowances each year is a simple, tax efficient method of reducing your estate's IHT bill. Annual Tax Free Allowances Everyone has an annual tax free gift exemption of £3,000. 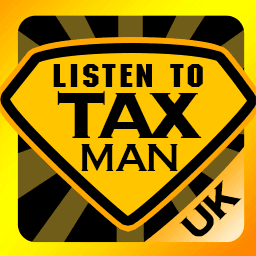 This means you can give away up to £3,000 each year, tax free. You can carry forward your unused allowance by one year, meaning you can use this years allowance in the next tax year. Or you can use up last years allowance this year, if you did not avail of it last year. Doing this means it is possible to give away £6,000 tax free in a single tax year. Small gifts Allowance. You can also give up to £250 to any individual each tax year, without being liable for IHT. You can repeat this gifting for as many different individuals as you want. So, for example, you can give each of your children/grandchildren £250 a year tax free. These gifts do not count towards your annual allowance of £3,000 (and make you very popular with the grand kids!). Gifts from Income. Inheritance tax is a tax on what you own, your assets. It does not apply to your income. If you have earnings from work or a pension, giving money away from this should be tax free. As long as the amounts you give away do not reduce your standard of living, these gifts should have no bearing on your IHT exemption or your nil threshold. You will need to keep detailed records in order to prove that these gifts have, firstly, come from your income, and secondly, that they have not negatively affected your lifestyle. Marriage Gifts. Gifts on the occasion of marriage can be given tax free. £5,000 by parents; £3,000 by grandparents and £1,000 by anyone else. Gifts to dependents. You can make tax free gifts to your spouse and other family members who rely on you for support, such as ex- wives/husbands/civil partners; children under 18 or in full time education; other family members who are dependent on you. If you make gifts in order to reduce your IHT bill, then you need to keep records of all gifts- when you gave them; to whom and for how much. Your executor will need these in order to work out you estate's tax bill. Be sure to keep these records with your other important accounts so your executor can find them. It is also worth noting that for something to be deemed a gift, you have to give it freely and you can not benefit from it. So, for example, you can not give away half of your home as a gift while you continue to live in it. Potentially Exempt Transfers (PETs). This is where forward planning (and a health kick!) can make a huge impact. Any money/asset you give away greater than the annual allowance will remain viewed as part of your estate for 7 years. If you die within those 7 years, the asset/money will be counted against your nil rate threshold and the recipient may have to pay IHT. However, if you survive for longer than 7 years after the transfer, IHT is not payable. These situations are called Potentially Exempt Transfers (PETs). If you transfer a substantial gift to an individual, it is possible for them to take out an insurance policy to cover the IHT that would be owing if you died within 7 years of the transfer. Live it up! One sure way to reduce your IHT bill is to reduce the amount you leave behind. Spending some of your savings on holidays and other luxuries can be tax efficient. Enjoy your retirement, you have probably worked hard for it. The importance of planning for a financially secure old age can not be stressed enough, but don't forget to enjoy the here and now either! Donations to registered UK charities and political parties are IHT exempt. Donating to your favourite charity is tax free, both while you are alive, or through your will. It can actually reduce the rate of IHT your estate pays after your death. If you will 10% or more of your estate to charity, IHT will be applied to your estate at a rate of 36% instead of 40%. Trusts. Using trusts to reduce your IHT bill and provide for your loved ones can be extremely tax efficient. Trusts are especially helpful at providing for more vulnerable dependants; mitigating against careless spending by recipients and protecting assets in the event of divorce, bankruptcy, etc. Setting up trusts is quite complicated- this is one area which you should not D.I.Y. Get advice from qualified professionals. For more information on Trusts and IHT planning download the Estate Planning Guide by Towry, see below this article for details. Providing the means to pay your IHT bill. Once you have done as much as you can to reduce your IHT bill, the next step is to provide for the paying of it. Using whole life cover insurance policies to generate a payment upon your death which covers the IHT bill can be very useful. Again this is an area where you need to seek professional advice. Planning for your financial future, and the best way to reduce your Inheritance Tax liability, can be one of the most helpful moves you can make for your loved ones. The worry of an unexpected or unaffordable IHT bill after your death can cause great concern to family members in both your lifetime and throughout theirs. If your estate is moderate in size, taking a few simple steps as outlined above can greatly reduce your future IHT liability. But even the smallest estate can have complications that need the advice of qualified professionals. Estate planning is very important, especially for people with complex affairs, and it is recommended that you seek regular advice from a highly-qualified adviser. Towry, a specialist in the estate planning sector, offers the reassurance of access to highly qualified wealth advisers. This article was published in our Guides section on 10/03/2014.